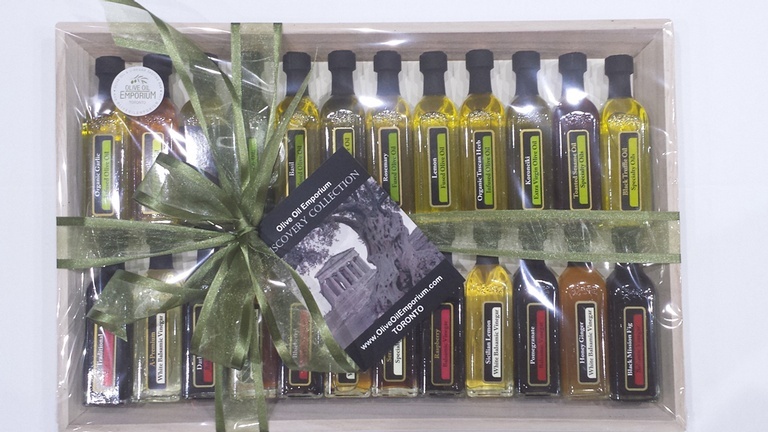 Description: A deluxe olive oil and vinegar 24-bottle gift presentation made with our most popular flavours and products. A versatile selection of oils and vinegars for all types of meals and uses. The applications for this selection are endless. Combine your oils and vinegars with a 1:3 ratio for a divine dressing. 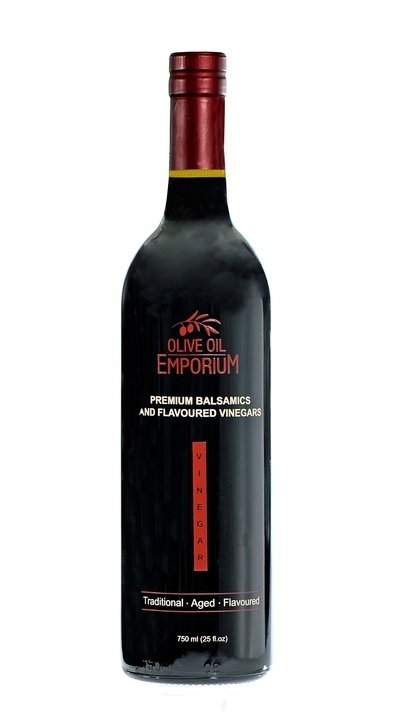 The Olive Oil Emporium 24-Bottle Gourmet Olive Oil and Vinegar Gift Set consists of 12 vinegars and 12 oils including a selection of specialty products such as the truffle oil, sesame seed oil, rosemary fused oil, and honey ginger balsamic vinegar. Tasting Profile / Serving Suggestions: Endless possibilities of flavour combinations and recipe inspirations for the novice and the gourmet cook. Enjoy a different flavour every day! Packaging: Elegantly presented across a reusable food-grade wood tray, showcasing all 24 oils and vinegars.